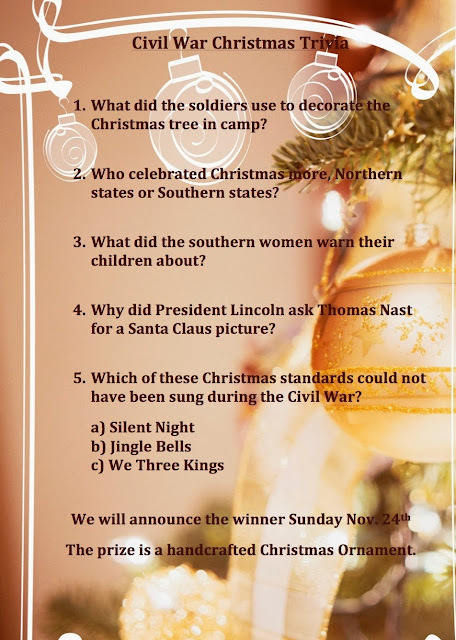 Post your answers below and we will announce the winner Sunday! 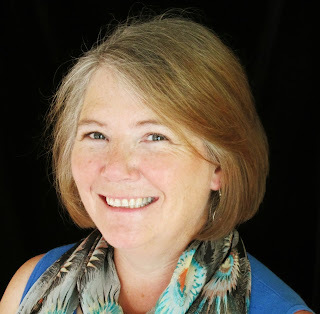 Holiday Hoopla with author Alison Bruce! Today I'm chatting with bestselling author, Alison Bruce about her holiday traditions, and the best gift she ever received. You may remember Alison from previous posts. She is an accomplished author with a compelling talent for the written word. 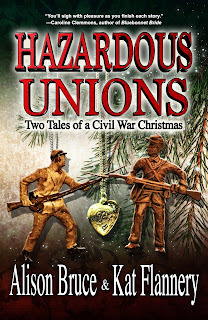 I've had the pleasure of working with her on our latest novel, Hazardous Unions: Two tales of a Civil War Christmas. As the season draws near I thought I'd interview Alison on how she celebrates the most wonderful time of the year! What traditions do you have at Christmas? We used to spend every Christmas with my cousins in Montreal: minimum six kids, five adults, every year. You could practically set the clock by our family traditions when I was growing up. From the first cup of tea we took in with us to open stockings to the formal tea in the evening when we exchanged tree presents the whole day was a set dance that we played out every year. Then us kids grew up, got married, had kids, some divorced, some of those remarried and the family got a little unwieldy for us all to get together for the holiday. So, we adapted. I share Christmas with my daughter, son, nieces and significant others. Stockings still come first, but now they don’t get opened until after I pick my kids up from their father’s. We still end the day with tree presents – little not-so-secret-Santa gifts – but in the late afternoon, not the evening, because my nieces have to go to Christmas dinners with in-laws. What was the best and worst gift you ever received? The worst gift I ever got was one I bugged and bugged my parents for. I wanted a Spirograph and I got it. What a disappointment! It didn’t work like they showed on TV and it was bor—ring! It taught me a lesson about truth in advertising, however. The best gift was totally unexpected. My daughter was born December 4. She was a bit of a miracle baby to start with because I conceived her despite using contraception and she survived me having Chicken Pox in her first trimester. Her father and I decided to have a honeymoon instead of a wedding and we went to Disney World once I was over the Pox. Kate’s first gift was bought there. For Christmas, Ross gave me a Mickey Mouse pocket watch. No one else would have thought of it and I still treasure that gift, even though we aren’t together any more. Despite not being religious, my favourite holiday song to sing is “Angels We Have Heard on High.” We used to sing carols in the car on the way to Montreal and I loved singing the extended “Gloria in excelsis deo” in the chorus. To listen to, however, I love “Little Drummer Boy” by Pink Martini or David Bowie and Bing Crosby. Three things you can’t survive the holiday’s without? That’s easy: my kids, turkey and eggnog. If you could give any gift what would it be and to who? I would love to give political and corporate leaders a visit from Christmas Past, Present and Future a la Dickens’ Christmas Carol. 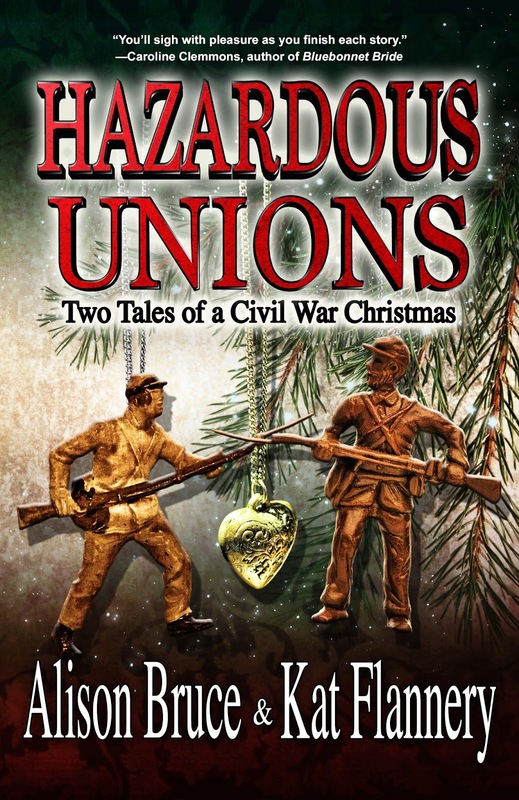 Of course I’m still pretty wrapped up in Hazardous Unions – it being a Christmas book and all. That is, I’m hoping a lot of people will be wrapping up our book for presents. <grin>I’ve just finished editing my next book, Men in Uniform, and am waiting to hear when it will be out next year. I’ve also got a sequel or two for Deadly Legacy to finish. Perhaps I should be asking Santa for more time to write this holiday. Copywriter and editor since 1992, Alison has also been a comic book store manager, small press publisher and web designer. 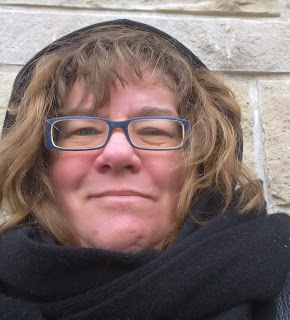 In addition to writing, she is the Publication Manager of Crime Writers of Canada, the Arthur Ellis Awards Administrator, and a part-time tech guru to the technologically challenged. Also find Alison on Facebook and Twitter. Today I have Krysta Ivers from Unique Bowtique. 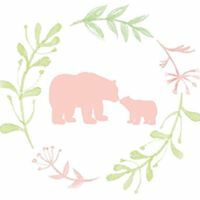 She is a bow making genius and I'm thrilled to have her answer a few questions on what she does and how she got started making bows! Welcome, Krysta and thank you for being here. 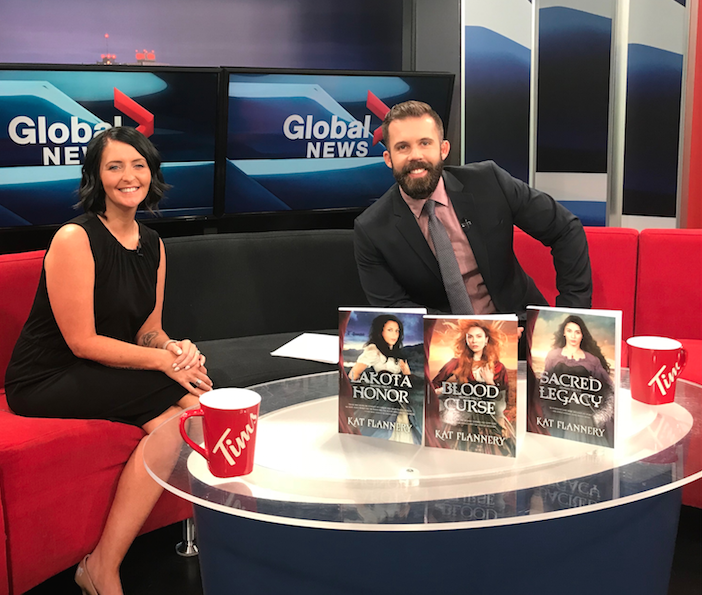 Thank you for having me on, Kat! Tell us about Krysta’s Unique Bowtique? 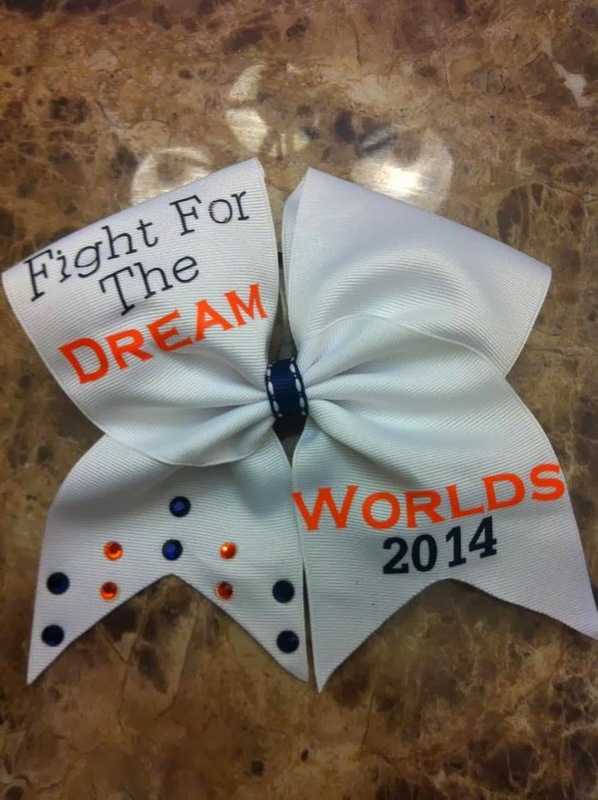 Krysta’s Unique Bowtique is your one stop shop for cheer bows and bow accessories. I hand make my products from home and fill team, club and individual orders! I offer a wide range of products to choose from to fill your cheer bow needs! How long have you been making bows? I was inspired by a cheer teammate last year who was playing around with making bows so I gave it a try and loved it. It has been just over a year now that I have been making bows. Where do you make them? I make my bows at home in my basement. Luckily I now have a spare bedroom that doubles as my bow room where I have all of my equipment and materials set up. Every bow is totally handmade, so sometimes the creative process of filling orders can leave the room looking a little ribbon crazy. What inspires you to create different styles? I take a look at different styles of bows on the internet and I try to think of how I could make them flashier and more me. Also, when I look online to order ribbon I always try to find something new to inspire me, a new design of ribbon or fabric can have my head spinning with ideas! Luckily most of the people that order for me allow me to have full creative control over the style of bow(s) I create for them, which is fantastic and lots of fun! How long does it take to fill an order? It depends on the size of the order and the complexity of the bows. For a very basic order of about 25 bows I can complete these in one day. For larger or more elaborate bows the order can take a few weeks to fill BUT anytime there is a timeline to be aware of I am always willing to work hastily to meet those time requirements. How much are the bows? generally start at $5.00 for very simple bows and can go up to about $13.00 for something more elaborate. The price really varies with the order and I can work well with a team’s budget. Do you make anything else other than bows? The products that I create come in many different forms such as; cheer bows, bow key chains, bow headbands for babies and adults and I have even made a wedding veil with a cheer bow on it! I am open to trying anything bow related! You can find my page on Facebook at Krysta’s Unique Bowtique. I live a life full of what I consider to be the most fulfilling sport ever, cheerleading. I have cheered on both high school and all-star cheer teams and I coach as well. Along with this busy life of sports involvement I am a stay at home mother of my two year old daughter, Emma. When Emma goes down to sleep I break out my creative side and get to work on my cheer bows, which has become rather successful! I get to display my artistic side through my bows and I love it! Today I write about the devastation in the Philippines caused by Typhoon Haiyan. I have never been there, met the people or seen the land, but what I do know is these people desperately need our help. It breaks my heart to watch the news and see the filipino's mourn the loss of their family members, young and old. Many have died from the hurricane winds, but the survivors are suffering now too. They need food and water. My good friend and editor, Todd Barselow has started a donation page where he is taking the money you donate and personally delivering these needed supplies to the poor people there. I cannot think of a time where I have donated to a cause and seen where my money has gone. Todd has been posting pictures of his purchases and giving a run-down of what he's delivered day by day. This is amazing and my admiration for this man has grown because of his actions. It is not every day you will come across someone willing to take time from work, family and themselves to do what Todd has done and continues to do. Thank you, Todd. Donations of any amount will be greatly appreciated and will truly help to make a difference. I've set the time for this campaign for 15 days only in an effort to speed up the relief effort, so please share it far and wide. The goal I'm reaching for is $1500 which is approximately PHP 60,000. This will go a very long way. There are many collection points for physical items and donations here. 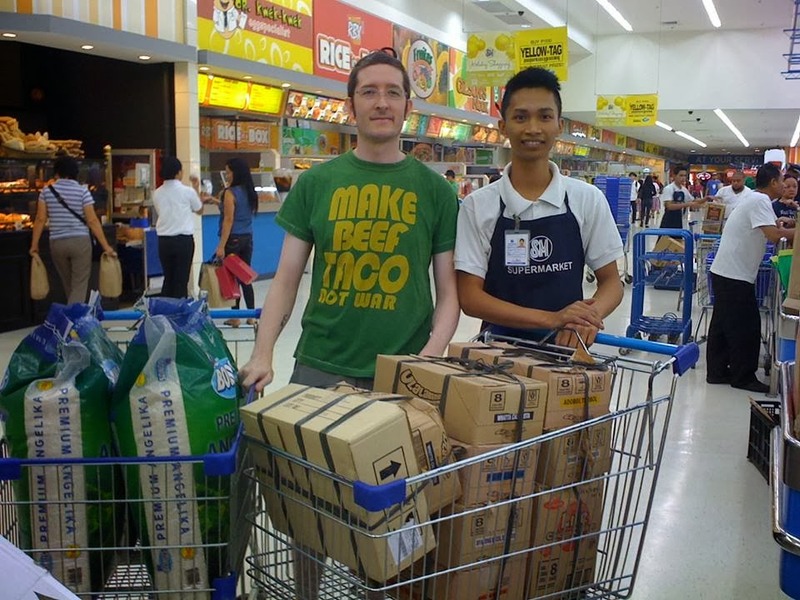 I will be making the purchases myself and leaving the items at one of these collection points here is Las Pinas City. I will not be giving cash as a donation at the collection point, only physical, tangible goods. The impact, though small, will nevertheless be significant. If I can provide food, water, clothing, and essential items for only a handful of families then I will have made a difference, and you will have, too. If you are unable to contribute to this campaign, please share it at least. 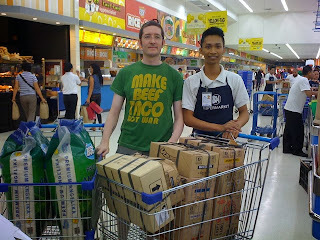 The Philippines needs all of the help it can get right now. Aid Victims of Typhoon Haiyan in the Philippines. Award winning author, Paty Jager is here today! 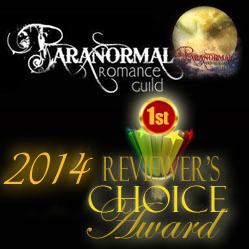 Please help me welcome award winning author, Paty Jager to my blog. 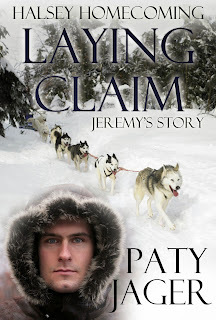 Paty is here to tell us about her new book LAYING CLAIM and some of the research she did to write it. 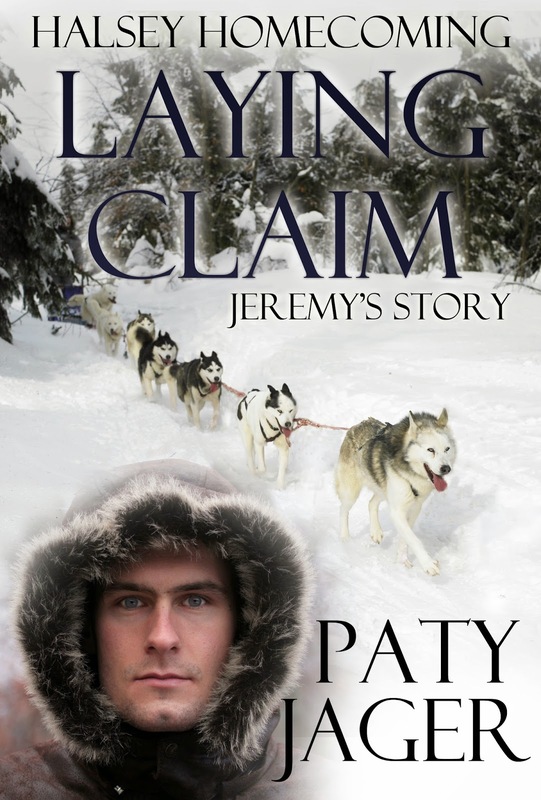 In my book Laying Claim, the heroine, Clara Bixbee, arrives in Skagway, Alaska determined to cross the Chilkoot Trail. The Seattle newspapers claimed it was the route that would get the gold seekers to the Yukon the fastest. summit, starting eight miles in from the coast and rising to 3,500 feet. The last 1,000 feet the grade is 35 degrees. The last leg has steps cut into the hard-packed snow and a guide wire. Many of the men and women crowding the trail were office workers and city dwellers. The arduous trail not only had to be traversed once but, every person who crossed had to have with them at least 1,000 pounds of supplies. This decree was made by the Northwest Mounted Police (NWMP) after the first wave of people entered the Yukon and then starved due to lack of supplies. The NWMP had stations at the summit to check that everyone had proper provisions. If a person didn’t have the required amount, they were sent back down to Dyea and Skagway for supplies. Most of the rushers used all their money to get to Alaska and for supplies. They couldn’t afford a pack animal or dog sleds. One person can’t carry one thousand pounds, which meant they had to stash their supplies and take what they could carry up and have someone watch it for them while they went back down and brought up another load. It usually took one person 10 to 20 trips depending on how much they could carry, to get their supplies to each stopover. It could take two days to go two miles if the trail was bad, because they had to haul a load, off-load, walk back and get more and haul that. Every place they stopped to cache their loads a tent city would sprout up. These cities had saloons and gambling. Hotels made of wood frames and canvas with rows of three-high bunk beds. A tired, cold traveler could get a bed and a warm meal for $1. When they made it over the summit, the gold seekers came to Tagish Lake. Here they made boats and used the waterways to travel the rest of the way to the gold fields. In Laying Claim, Clara is talked out of going over Chilkoot and traverses White Pass with a dog sled. They were traveling in the dead of winter and used the frozen waterways like roads. Jeremy Duncan commits to haul one last load of supplies across the great interior of the Yukon before heading home. But, he has to trade his pack animals for sled dogs and leave Skagway in the middle of a blizzard due to one strong-willed, business-minded beauty. Determined to find her older brother, Clara Bixbee doesn’t care how she gets across the pass, as long as she does, and soon. Hiring handsome pack guide Jeremy Duncan seems to be her best choice. Especially after she saves a young girl being beaten by the local gang leader and needs to escape Skagway fast. “Who’s there?” a female voice questioned through the wood barrier. The door swung open. A girl stood in the opening. No. A girl didn’t fill out the front of a dress like this one did. But she was small. Tinier even than his sister, and she barely came to his shoulder. “It’s about time you brought my trunk. I’ve been waiting hours for it to arrive.” Her green eyes snapped with anger. Jeremy set the trunk on the floor and turned to the woman. Her blonde hair was pulled up into a working woman’s bun, but her clothes, the ones she had on and the ones he’d sifted through in the trunk, were not working-class clothes. “Would you rather I left it to the thieves who wouldn’t have brought it to you even after they took all they wanted from it?” While the woman was soothing on the eyes, he wasn’t keen on her attitude. She gasped and dropped to her knees in front of the trunk. 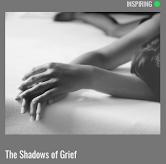 Her tiny fingers clasped the broken latch where a key had most likely locked the box. She unclasped the other latches and dug down to the bottom of the trunk shoving the clothing, causing them to spill over the sides. Jeremy watched in fascination as she burrowed into the contents. She pulled out an oilcloth jacket and pushed her hand into a pocket. A smile crept across her face. Her hand reappeared empty. He’d guess she had money stashed in that coat. He cleared his throat and she jumped. In her urgency to make sure she hadn’t been robbed, she’d forgotten he was still in the room. “Jeremy Duncan. Miss…?” He hoped she didn’t say she was married. It would be a shame to have rifled through a married woman’s unmentionables. It would make fanaticizing about her not near as much fun. “I am not, and it isn’t proper for you to be in my room.” She pushed to her feet and stood, again, with her hands on her narrow hips. 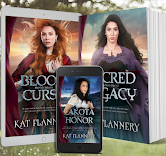 Bio: With sixteen published books, three novellas, and an anthology, award-winning author, Paty Jager is never at a loss for story ideas and characters in her head. 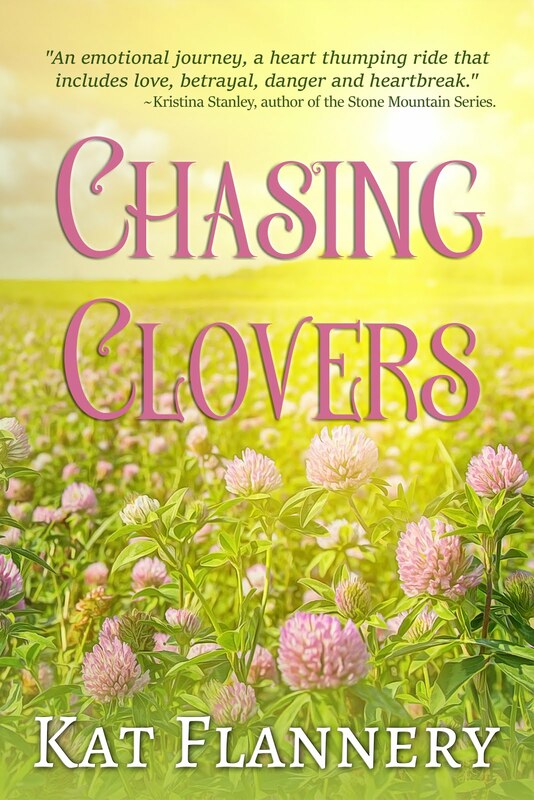 Her rural life in central and eastern Oregon, and interests in local history and the world around her, keeps the mystery and romance ideas flowing. She not only writes the western lifestyle, she lives it. You can learn more about Paty at her blog; www.patyjager.blogspot.com her website; http://www.patyjager.net or on Facebook; https://www.facebook.com/#!/paty.jager and twitter; @patyjag.